Lori began illustrating in the second grade, when she won the Humane Society poster contest at her school. She awed the judges, won first place and hasn’t looked back since. She grew up in Western Pennsylvania marveling at everything from acorns to frogs to big sisters and now makes books about them all. 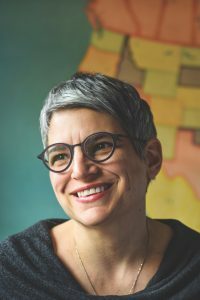 She is the author and illustrator of the award-winning picture book, Maple, under Penguin’s Nancy Paulsen Books imprint. Its companion books include: Maple & Willow Together, Maple & Willow Apart and Maple and Willow Christmas Tree. Her illustrations can also be seen in: This Orq. (he cave boy. ), This Orq. (he say ugh.) and This Orq (he number one) by David Elliott, as well as No, No, Kitten! by Shelley Moore Thomas. Also look for Go Sleep In Your Own Bed by Candace Fleming. Lori’s accolades include winning the Society of Children’s Books Writers and Illustrators New York Winter conference portfolio award in 2014, the Alabama Library Association’s 2015 “Alabama Author” award and the Michigan Library Association Mitton Award in 2016. Her debut book, Maple, has been recognized as a “Best Children’s Books of 2014” by Amazon, a 2014 Giverny Award for “Best Children’s Science Picture Book” and selected to represent the Dolly Parton Imagination Library in 2015 and 2016. Both Maple and Maple and Willow Together were named “2015 Best Children’s Books of the Year” by the Children’s Book Committee. Lori Nichols shares the organic and quirky origins of her debut picture book MAPLE. See how her love of nature, family and other inspirational sources helped Maple grow into the award-winning series of MAPLE & WILLOW. Lori Nichols, Portfolio Award Winner at the 2014 Society of Children’s Books Writers and Illustrators New York Winter conference, will share valuable advice on how to present a portfolio that shines.